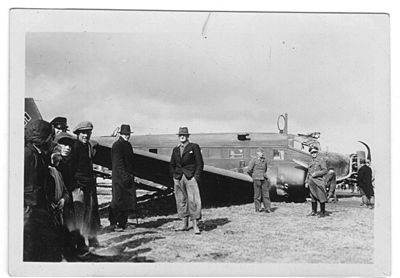 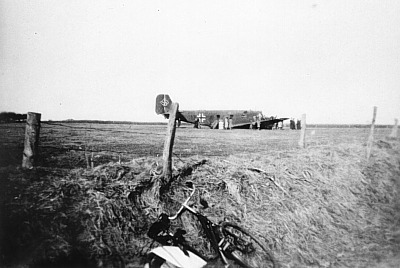 Ju 52 crash landed near Sønder Hygum 9/4 1940. 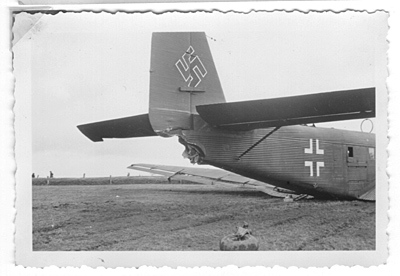 The aircraft belonged to II./KGzbV 1 and was coded 1Z+GP. 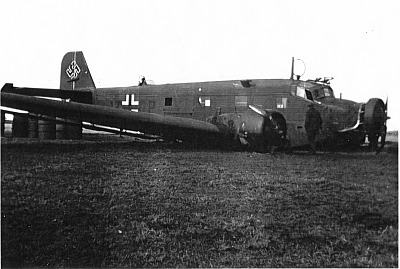 In the afternoon the Ju 52 was seen coming from a northerly direction and attempted a landing at Harreby Østergård farm near Sønder Hygum. 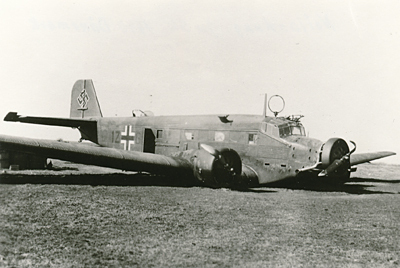 First the aircraft hit some trees and next a dike that tore off the landing gear before the JU 52 skidded to a halt. 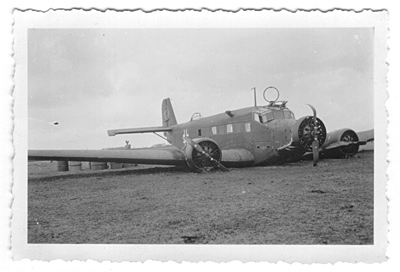 The crew were unharmed but several bullet holes could be seen on the aircraft. 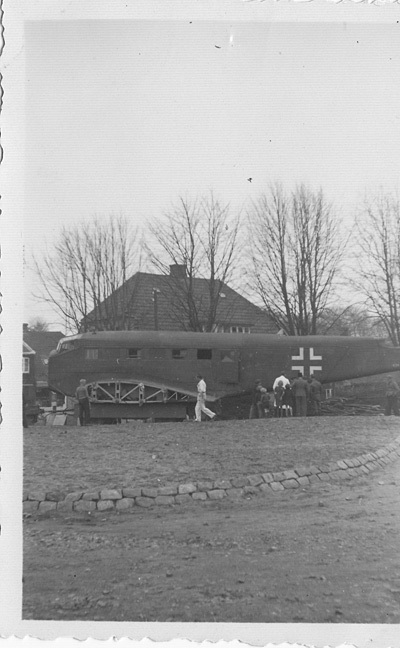 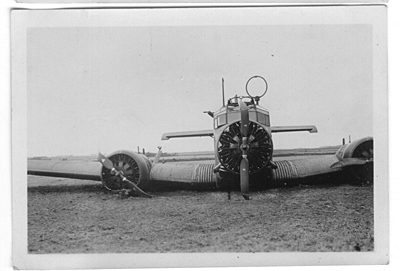 A team arrived from Fliegerhorst Flensburg, defueled the aircraft, dismantled it and brought it back to Germany. 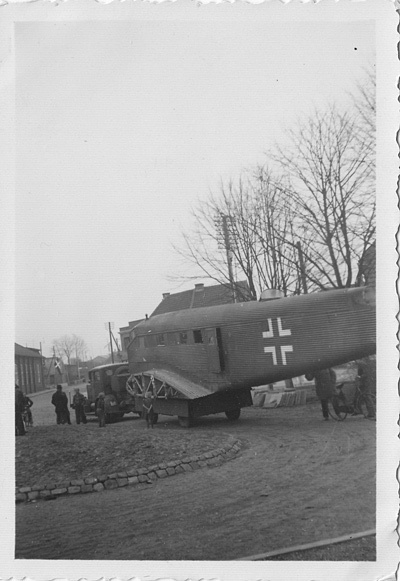 Sources: JJ, Jacob Kloppenborg, General Quartiermeister via Gerhard.